As expected, Apple has officially seeded and released its latest second beta version of OS X Mavericks 10.9.3 for Mac users and developers. The latest available Mac OS X Mavericks 10.9.3 Beta 2 (Build: 13D17) Update contains bug fixes, improvements, performance enhancement and stability etc. Mac users (non-developers) and developers can Download OS X Mavericks 10.9.3 Beta 2 .DMG Update Files via Direct Links available below. If you're running an old OS X 10.9.3 Beta 1 version then you can update/upgrade on latest OS X 10.9.3 Beta 2 version officially via Mac App Store >> Software Update tab. Mac OS X developers can also get complete download via OS X Dev Center website. For Mac users (non-developers), the Official Direct Download Links of OS X Mavericks 10.9.3 Beta 2 (Build: 13D17) .DMG Update Files is also available. We can expect more similar updates from Apple in near future i.e. 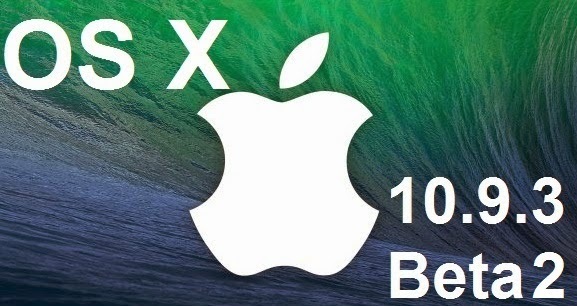 OS X 10.9.3 Beta 3 or OS X 10.9.3 Beta 4 etc.